It’s the best way to visit and experience the City of Boston! 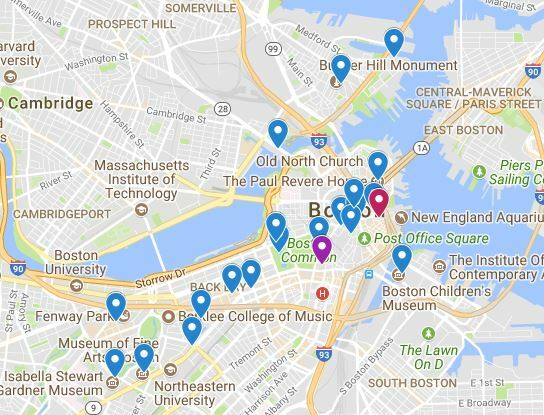 Planning your first trip to Boston? Get to know Boston at your own pace with Mr. C Car Service Inc.
Visit the cobbled streets of Boston Beacon Hill, the gold-domed State House, Boston popular attractions and so much more! Customize and Make It Your Own. Minimum 3-hour tour accommodates up to 7 guests. Start your 3-hour tour with a pick-up at your hotel or accommodations and set out to enjoy the beautiful city of Boston. Tour includes landmark attractions - Boston Common, Massachusetts State House, Faneuil Hall, Fenway Park and so much more! We’ll focus on the top attractions while finding interesting places to visit throughout the tour. With Mr. C Car Service city tour you’ll enjoy having your own private driver, black car and customize itinerary. You can say which stops you’d like to get out at and take pictures and how much time you’d like to spend at each one. Tours do not include meals but if you would like to stop and grab a bite during the 3-hour tour that is perfectly OK! Call for information on rates and date available. All tours and services must be prepaid by credit card. Accept all major credit cards, Discover, MasterCard, or VISA. A confirmation receipt email will be sent to you.